Superintelligence is an established name in transhumanism and refers to machines or human of superior intelligence. Superintelligence is hypothesis only. A really superior being that meets these criteria which is defined in Superintelligence, according to current knowledge, not still not known. Superintelligence is defined as the intellect that is superior to even the best human brain, both in terms of creativeness and problem-solving intelligence, as well as in social skills and wisdom. It remains to be seen whether it can be implemented biologically, technically or as a hybrid, in between. Furthermore, strong and weak superintelligence is distinguished, somewhat like of AI. The weak superintelligence is an intellect that operates at the level of human thought processes, but quantitatively faster by a multiple works. 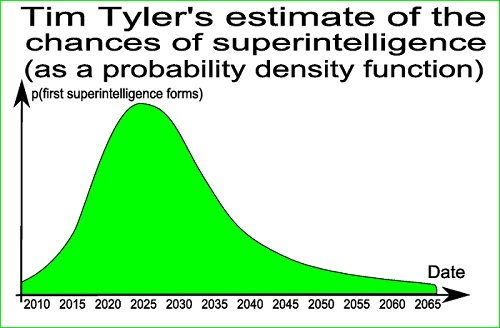 A strong Superintelligence, however works at a qualitatively higher level, like a human brain, so it superior. Savant syndrome is a psychiatric condition, classified among neurodevelopmental disorders, which demonstrate profound and prodigious capacities and abilities far in excess of what would be considered normal of a human being. Syndrome is a misnomer, it is not classified as a mental disorder, but they have not the superior skills of superintelligence. A purposeful, serious project for creation of Superintelligence probably does not exist. Even when evaluating the technology available today, there are different opinions. Some transhumanists believe that today’s technology has to be simply combined in the right way to bring about the state of Superintelligence. Others argue that both the technology as well as the concepts have to be developed first. Skeptics doubt whether Superintelligence is even technically feasible. The processes in a biological brain are far too complex to decipher and also far too complex to mimic with a technical device. Also the combination of human synapses to electronics in a cyborg is problematic, since a fast but rigid electronic system with a slower but living brain can not be easily wired. This criticism is being asserted, first, that the evidence on the exact processes in the human brain are not too complex in principle, ever to be understood. Secondly, artificial intelligence is not fixed at the imitation of a biological brain, but can also justify their intelligence on another operation. This Article Has Been Shared 2425 Times! Windows 8 Edition actually comes in three flavors Windows 8 edition, Windows 8 and Windows Pro RT. Let us compare with other advanced Operating Systems. Cite this article as: Abhishek Ghosh, "Superintelligence : Hypothesis and Practical Aspects," in The Customize Windows, November 12, 2012, April 23, 2019, https://thecustomizewindows.com/2012/11/superintelligence-hypothesis-and-practical-aspects/.